Fifteen years ago the website I run chose to issue a statement criticising Aung San Suu Kyi (“End the Dialogue: An Open Letter to Daw Aung San Suu Kyi”, www.dictatorwatch, February, 2002). It was perhaps the first comprehensive criticism of Suu Kyi, at a time when pretty much everyone supported her. 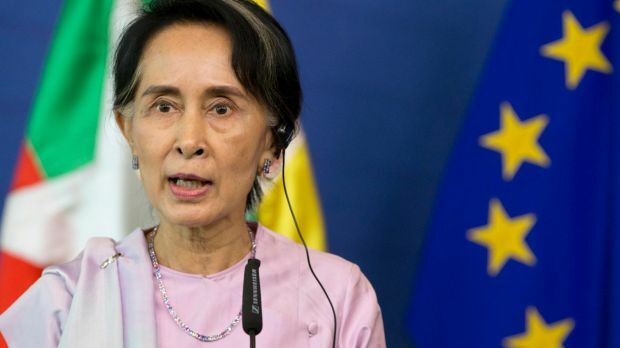 A few people from the ethnic nationalities were suspicious about her lack of cooperation with them, but no one was going to confront the international democracy icon and cause her to lose face. I realised that it would be useful to say what people of the country were too deferential to mention. The statement was exceedingly polite, pointing out that you can’t negotiate with tyrants – and certainly not from a position of weakness. She was a the time involved in a “dialogue” with the ruling junta, which had released some political prisoners to give her “ammunition” that the approach might yield real results. To my knowledge, this was the first time they “played” her, using her to reduce the domestic and international pressure that their human rights atrocities generated. But it was absolutely clear that the regime was not sincere, that the release was a token step, and that the dialogue would never change anything. Now, 15 years later, she is still following that same failed strategy. My criticism became much more pointed when she betrayed the pro-democracy movement by reregistering the NLD in 2011, ending her election boycott; when she ignored fresh offensives in the North against the Kachin and other groups that began that year; and when she refused to condemn the pogroms against Muslims that were perpetrated the following year, and which grew into the Rohingya genocide. It seemed Suu Kyi was walking the same path as Zimbabwe’s Robert Mugabe, changing from a resistance leader into an authoritarian ruler. Now she has progressed even further, from surrendering to the generals, to actively covering-up and attempting to justify their crimes. The people of Myanmar have to throw off their reservations and oppose her forcefully. If she is allowed to have her way, you will always be dominated by the Tatmadaw. You will never know true freedom. There will be no peace, and the crimes against humanity will never cease.